If you are Ivan Zaytsev, you could connect your user account with player account. The King of volleyball in the world. Now he plays at a really high level. Some of the funniest volleyball moments in the last years. 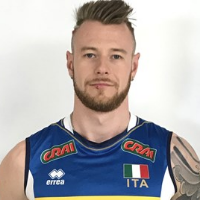 Finally I find some time,idea to make a movie, I back with Ivan Zaytsev movie, hope you like it. Watch in HD. These are the best and most incredible Volleyball Spikes you will ever see! No words, only resepct for those players!